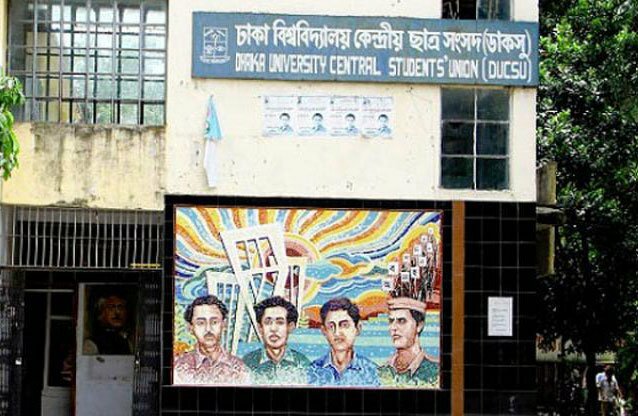 Dhaka Metropolitan Police imposed a restriction on movement of outsiders and vehicles on Dhaka University (DU) campus for 24 hours from 6 pm on Sunday ahead of the university’s Central Students’ Union (Ducsu) and hall union polls scheduled for March 11. No one will be allowed to enter the campus without valid identity card and no vehicles will be allowed to ply the area without DU stickers or pass. Dhaka Metropolitan Police Commissioner Asaduzzaman Miah came up with the directives at a press briefing on Saturday at Shahbagh Police Station over the security ahead of Ducsu election. The DMP commissioner urged the university’s students, teachers, and staff to carry valid identity card during this period. Check posts will be set up at seven entrance points of the university and all polling booths will also be monitored by CCTV camera, he said.